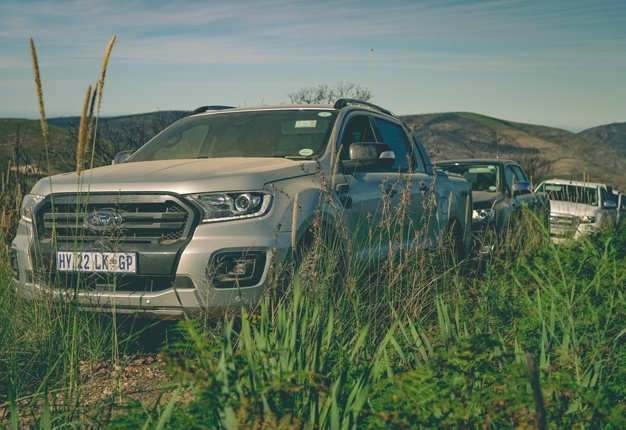 We descended upon George in the Garden Route of the Western Cape for the launch of the 2019 Ford Ranger. Apart from an array of subtle visual, comfort and technological updates, the range also sees the introduction of the new 2.0-litre turbo diesel engine. It is blown by a single turbo on the XLT derivative or doubly boosted via bi-turbo on the Wildtrak, the flagship model until the Raptor arrives in May. Whether you’ve opted for the 157kW/500Nm Wildtrak or the 132kW/420Nm XLT, both are served by a new ten-speed automatic gearbox, the first of its kind in a double cab. This makes for better power delivery and fuel economy (10% improved). Another payoff is a towing capacity that has jumped up from 2.5 tonnes to 3.5 tonnes - a not inconsiderable leap. 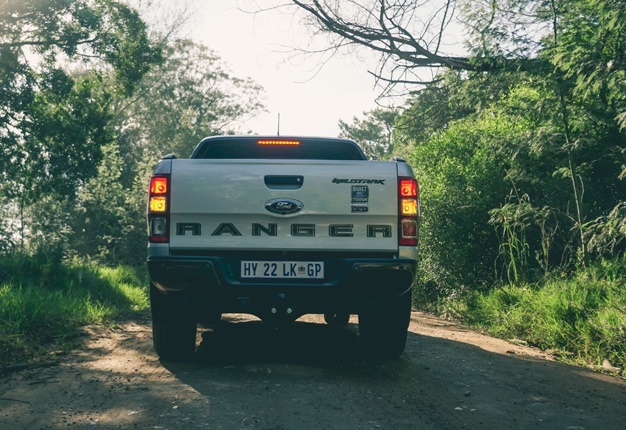 The Ford Ranger receives a new front grille and bumper, plus a jewelry update with LED fog lights and HID headlights now with integrated Daytime Running Lamps. The cabin is suitably darker, with the Wildtrak now getting the black leather treatment. Good, as this was the model I chose to drive on our 300km or so meander both on the asphalt and gravel network into the mountains where we even got to test its rock climbing prowess. We’ll get to its off-road ability just now, but first it’s worth noting the new SYNC 3 infotainment system on offer; now with Apple Car Play and Android Auto. You also have keyless entry and a Push to Start button with Ford’s new Smart Key. 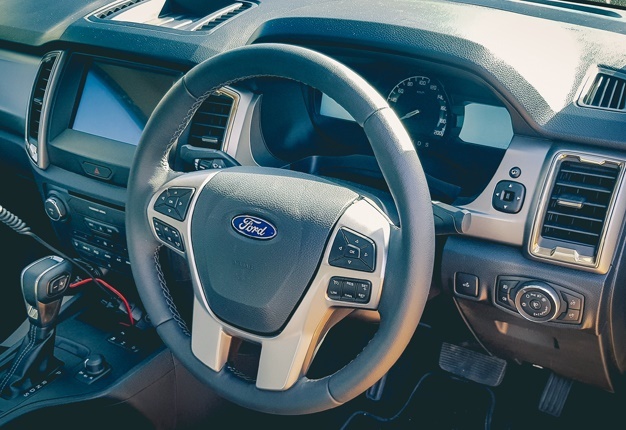 Upgraded refinement further translates to a 5% reduced NVH (noice, vibration and harshness) helped along by Ford’s active noise control system. There’s a barrage of new tech here such as autonomous emergency braking for vehicles, as well as pedestrians, active park assist for parallel parking, lane keep assist, parking sensors and roll-over mitigation (part of the ESP System), with further roll stability control. But perhaps my favourite upgrade resides at the back with an ‘easy-lift’ tailgate that has been endowed with a torsion rod to give it a 70% reduction in lift force. Nifty. You can get yours in one of nine different colours including two new ones, Diffuse Silver and Blue Lightning. The Sabre Orange on the Wildtrak is also new, but exclusive to Wildtrak – yours with this engine for R678 200. 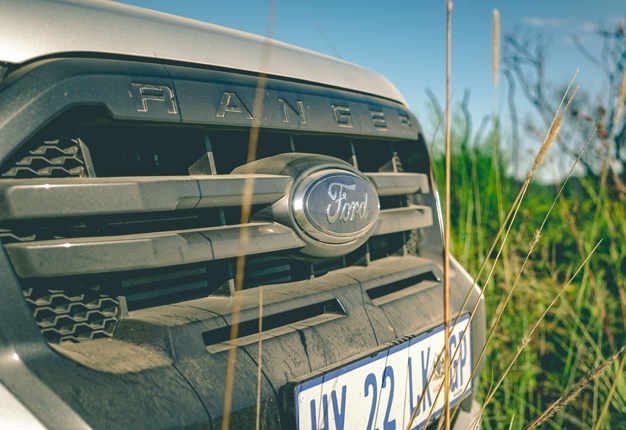 Ford South Africa is aware of the fact that their workhorses, the single and super cab Rangers, need to be more competitive to take on the likes of the Hilux and so have also been given a host of updates, as well as favourable pricing. The Ranger is a big car and feels like it on the road, as well as on the dirt with a weighted helm and a powertrain that swells rather than pounces. Still, it is an easy thing to live with and when I was eventually relegated to the XLT model can report that it too was up to the task of crushing hundreds of kilometres of tarmac and terrain with similar verve and zero discrimination, despite being short one turbo. When pointed to the tricky 4x4 section (the Outeniqua mountain range, specifically), the Rangers impressed with their tenacity. Stick it in 4L, feed it some throttle and steer it over pretty much anything along our route, no doubt made easier thanks to a tweaked suspension. 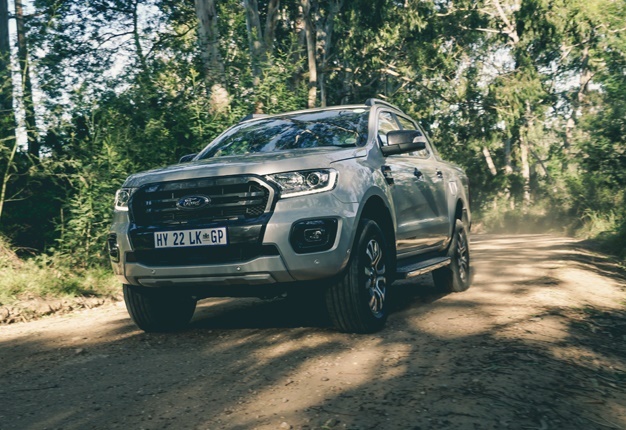 Our pick of the litter, therefore, would have to be the Ford Ranger 2.0 Turbo XLT 10AT 4x4 at R570 200. At R100 000 less than the Wildtrak you sacrifice one turbo and some options, but lose almost nothing in ability, performance and technology. But then, ask us again once the Raptor arrives. All models come standard with Ford Protect, comprising a four-year or 120 000km comprehensive warranty, three-year or unlimited distance roadside assistance and five-year or unlimited km corrosion warranty. A six-year/90 000km service plan is included, with 15 000km service intervals.